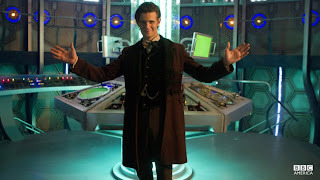 Paranormal Pop Culture: WHO will be the 12th Doctor, and WHEN will we know? WHO will be the 12th Doctor, and WHEN will we know? Sorry Whovians, you’ll have to wait all summer to discover the identity of the Twelfth Doctor. But the good news is, BBC insiders have told folks at Radiotimes that we should know in early autumn. Can you wait? Despite hopes that filming would begin earlier, a spokeswoman revealed that they are on track. Since the recent departure of Eleventh Doctor, Matt Smith there has been much speculation as to who is may be from Rory Kinnear to Dominic Cooper to the recently ruled out, Idris Alba (The Wire). Will he be young or old, a ginger perhaps? Who are your predictions and hopes for the Twelfth? I'd like Dominic Cooper to be the Doctor. It would be awesome with him in the lead role.